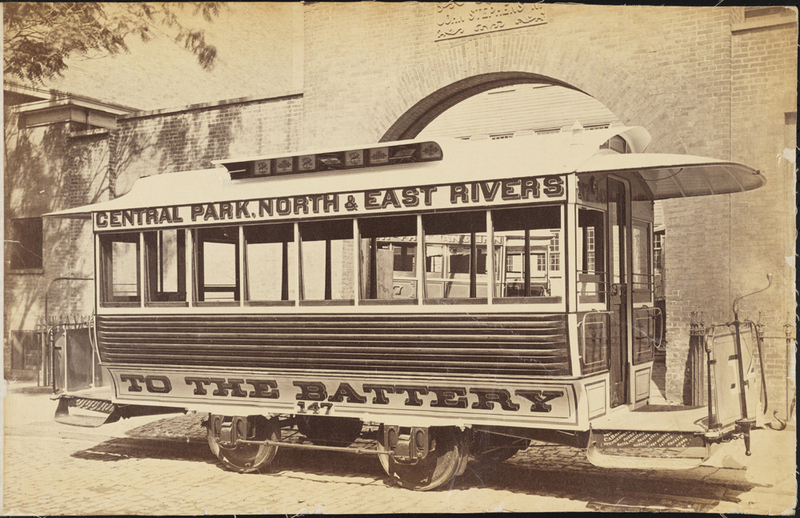 New York would not be the city it is today without the comprehensive public transportation infrastructure developed during the 19th and 20th centuries. 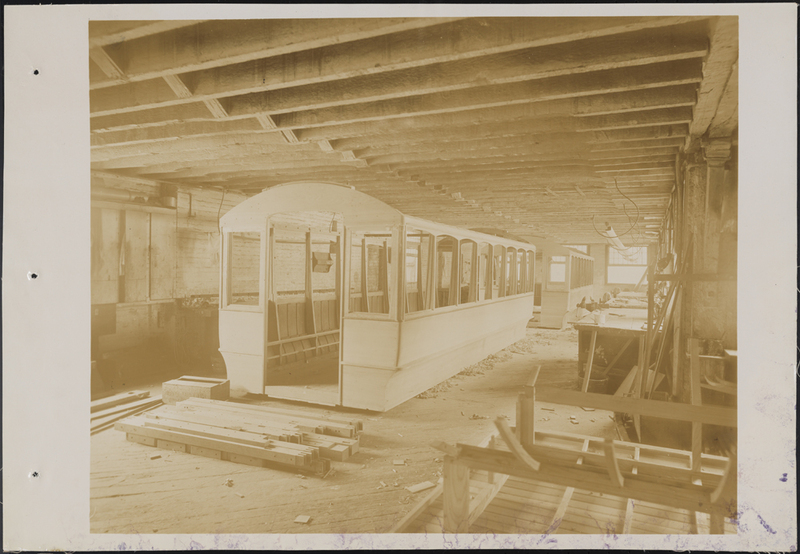 One of the major players of this development was the John Stephenson Company, a streetcar manufacturer that not only outfitted the byways of New York, but supplied cities all over the world with public transportation vehicles. John Stephenson was born in Ireland on July 4, 1809 and immigrated with his parents to the United States two years later. As a teenager he was an apprentice to the coachbuilder Andrew Wade of 347 Broome Street. 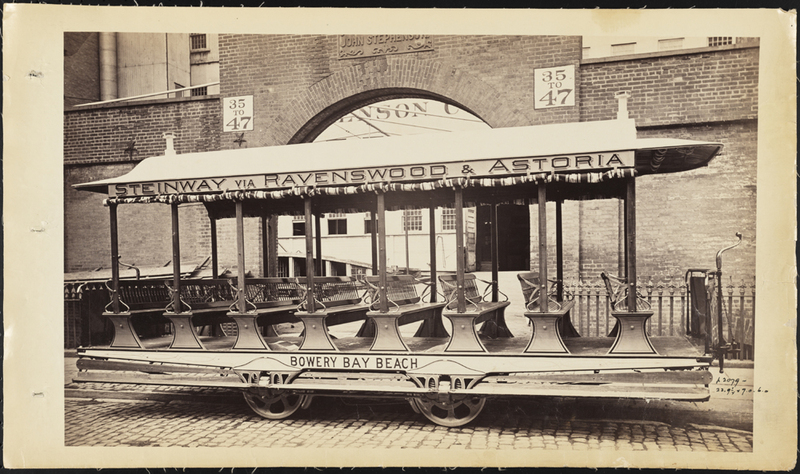 During his apprenticeship Stephenson built carriages for Abraham Bower, who had introduced the horse-drawn vehicle known as the omnibus to the streets of New York in 1827. Omnibuses were essentially public stagecoaches running along a specified route with a fixed fee for passengers. 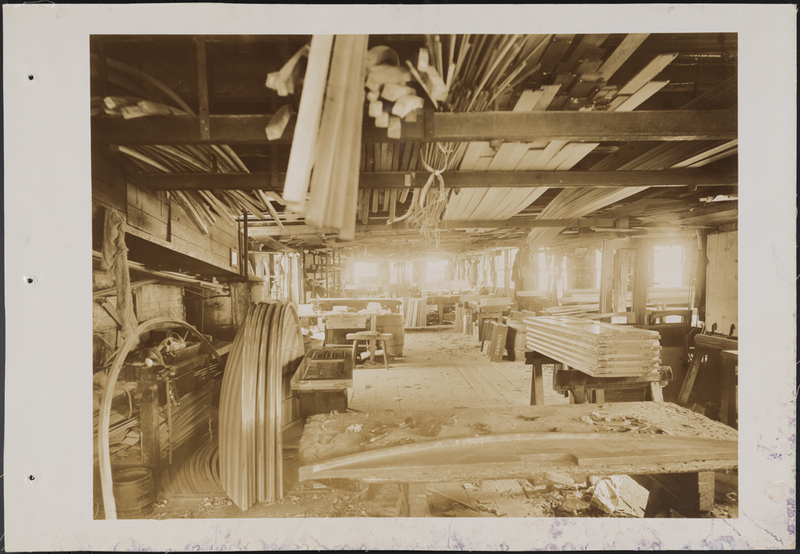 Upon completion of the apprenticeship in 1831, Stephenson opened his own carriage shop at 667 Broadway. The shop burned to the ground a year later, but Stephenson was not deterred – he reopened for business at 264 Elizabeth Street. By 1836 his business was successful enough to warrant a move to a bigger place – Fourth Avenue (now Park Avenue) between 132nd and 134th Streets. The print below shows the Harlem factory and features one of Stephenson’s standout designs, known as an x-frame or diamond car for the shapes cut by the latticework on the side of the vehicle. The design served more than just an aesthetic purpose: the truss supported the body of the car between two wheeled chassis. John Stephenson’s business suffered a setback with the onset of the Panic of 1837 and was forced to close in 1842. But the tenacious Stephenson worked hard to pay off his debts and reopened again in 1843, at 47 East 27th Street, where the company would remain until 1898. The photographs below were taken for the John Stephenson Company and donated to the Museum in 1944 by Mrs. Harry A. Thompson, great niece of John Stephenson and daughter of John A. Tackaberry, Vice President of the John Stephenson Company. 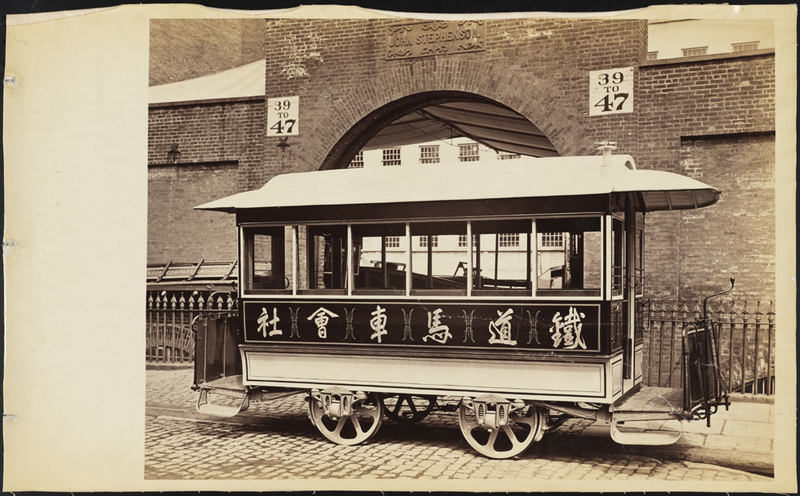 The photographs are divided into the following unbound photograph albums: Omnibuses, Fare-box Cars, Aisle Cars, Summer Cars, Closed Cars, Double-decker Cars, Special Cars, Electric Cars, Cable Cars, and Factory. 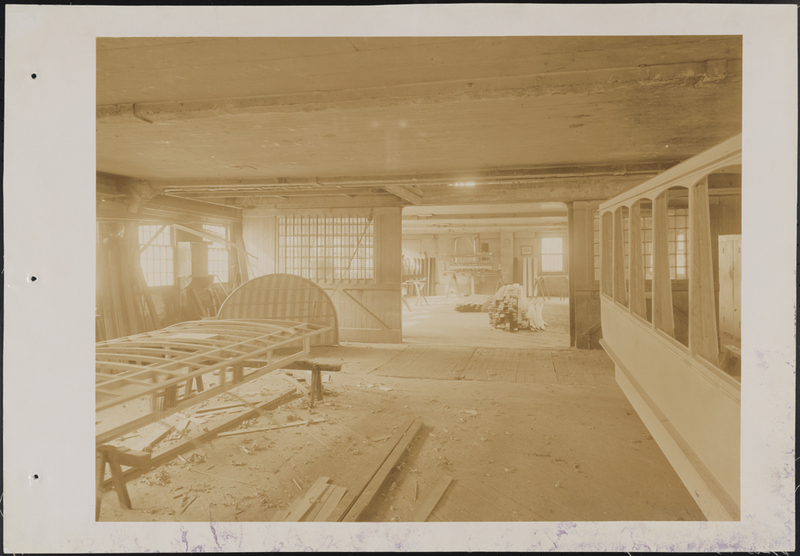 Unless otherwise noted, all photographs were taken at the John Stephenson Company factory at 47 East 27th Street. 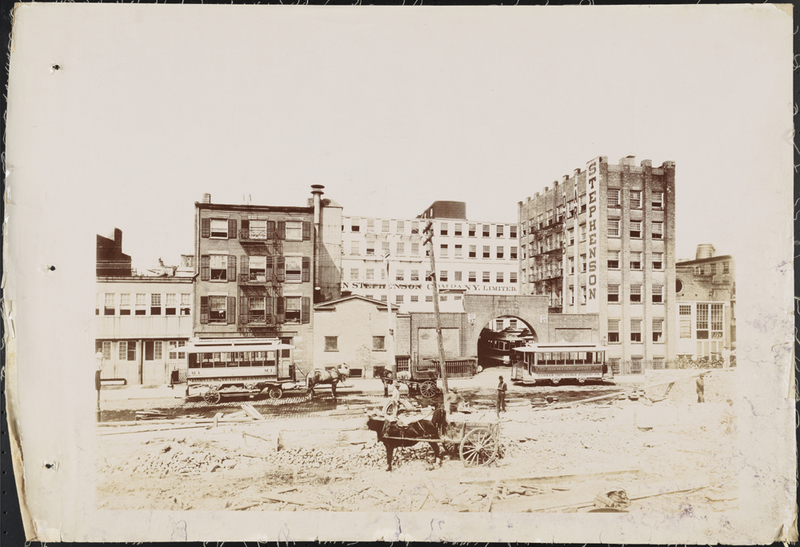 Stephenson built his factory on 27th Street between Madison and Fourth Avenues, opposite the New York & Harlem Railroad depot at Fourth Avenue and 26th Street. 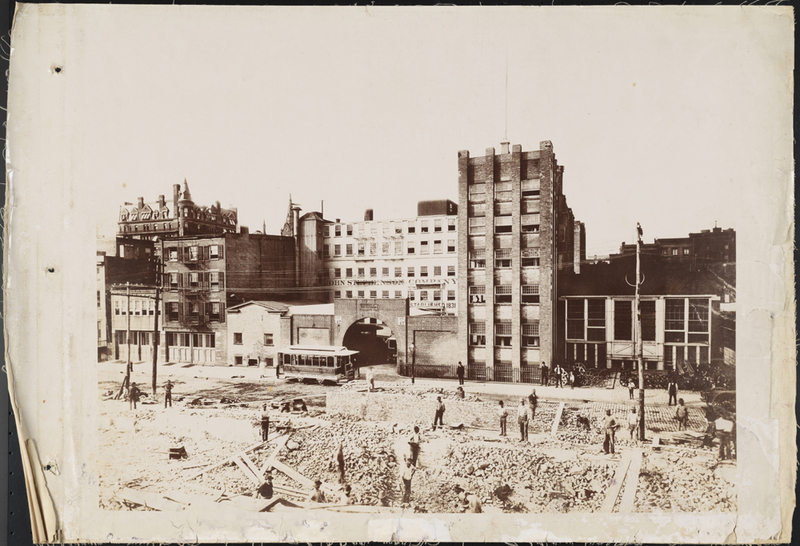 By the time these pictures were taken, the depot had been demolished for the construction of Stanford White’s Madison Square Garden. 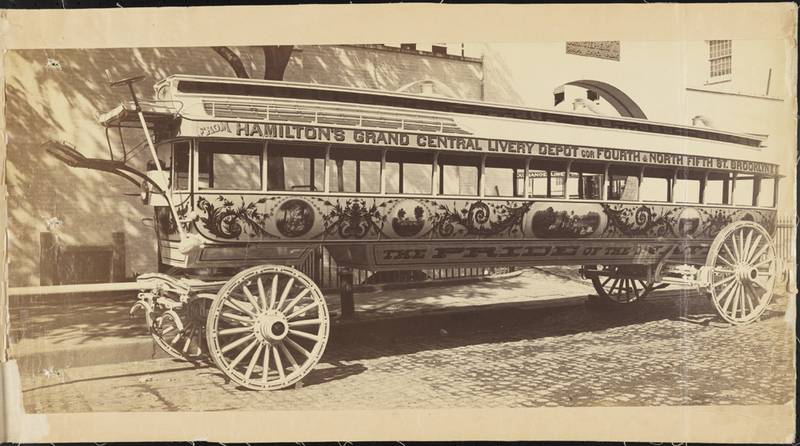 Omnibuses eliminated the need to hire transportation and became so popular that by 1852, over 120,000 passengers utilized them daily in New York. 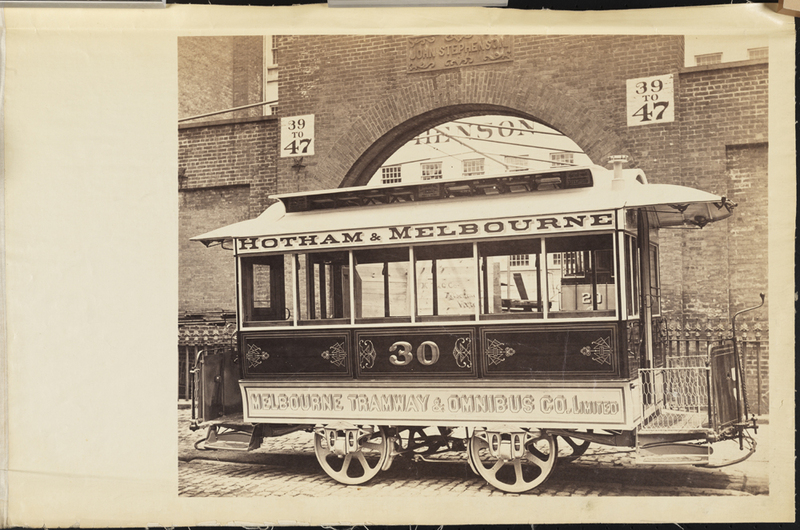 In 1856, Stephenson manufactured 300 omnibuses for use in New York and other cities around the world . 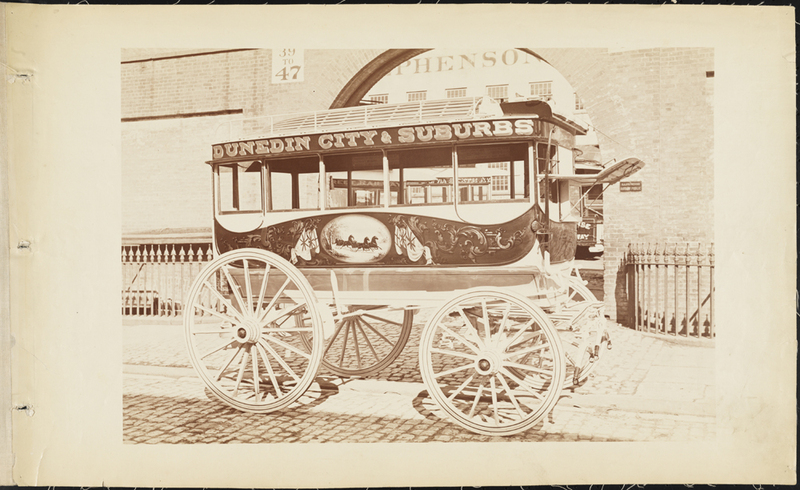 Below is an omnibus destined for Dunedin in the South Island of New Zealand. The Pride of the Nation must have been one of the largest omnibuses ever constructed. 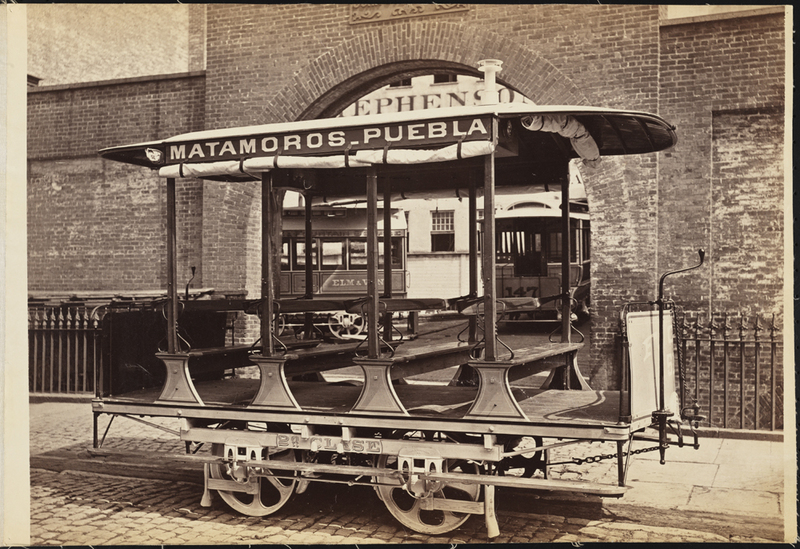 Stephenson built the vehicle in 1875 and presented it at the Centennial International Exhibition of 1876 in Philadelphia. 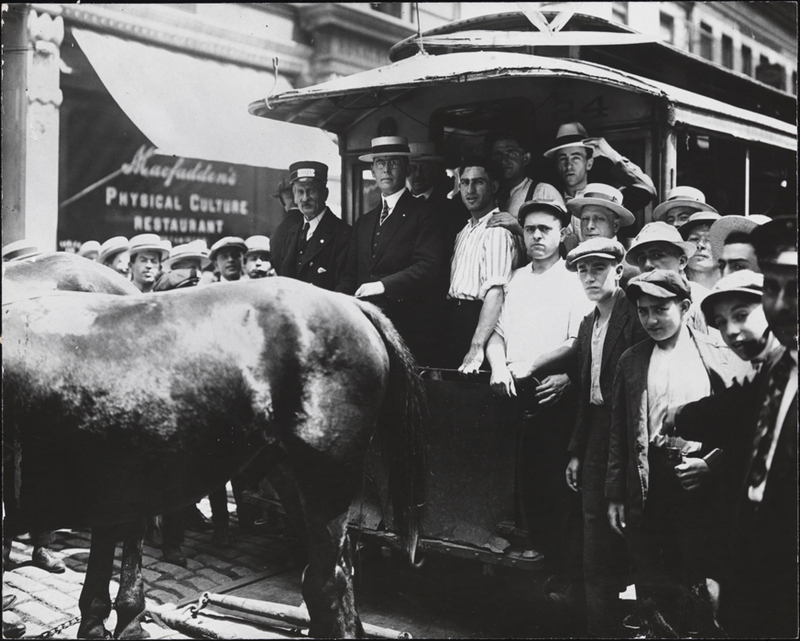 Look at how many horses were needed to pull the Pride of the Nation, shown below in Madison Square. The fate of the vehicle is unknown; the omnibus was last seen in 1918 when it departed for a cross-country tour, pulled behind a gasoline tractor. 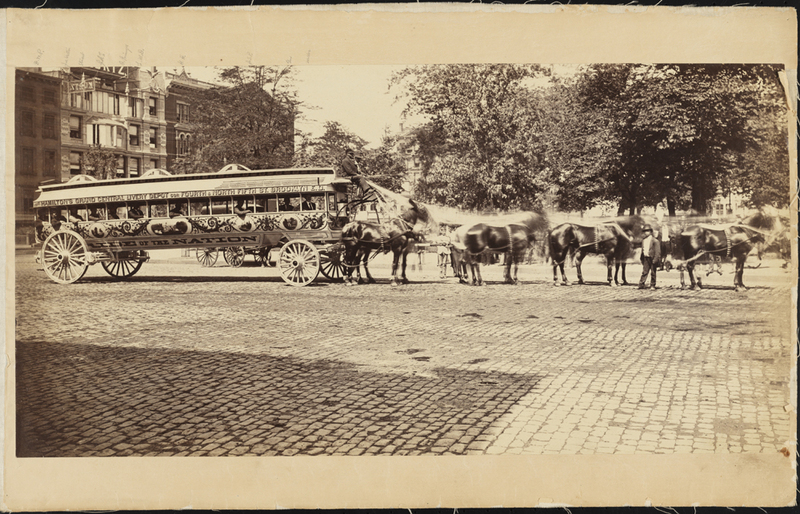 In 1832, John Mason improved on the omnibus by laying special tracks in the cobblestone streets of New York, providing a smoother, safer, and more efficient ride. 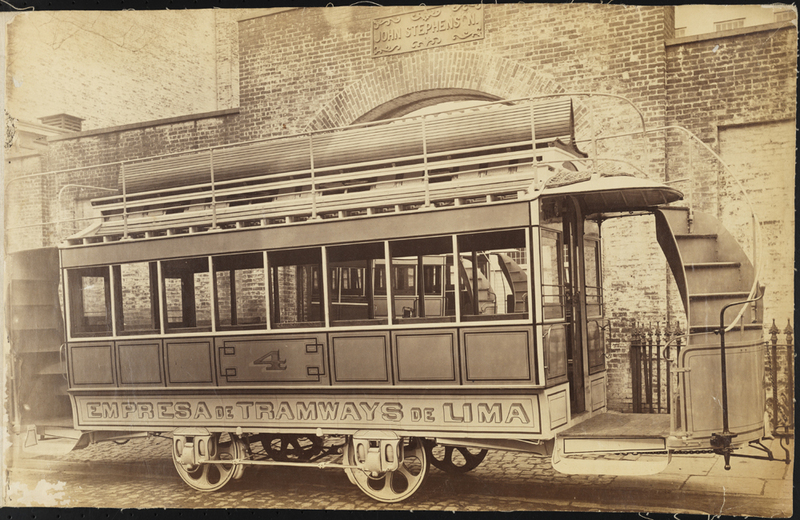 Thus the market for horsecars, also called streetcars, was born. Stephenson supplied this market with different variations of the streetcar seen below. Horsecars created their own problems, however: the need to feed, groom, and provide shelter for teams of animals; the enormous amounts of animal waste deposited on the streets; and the working limits of the animals themselves. 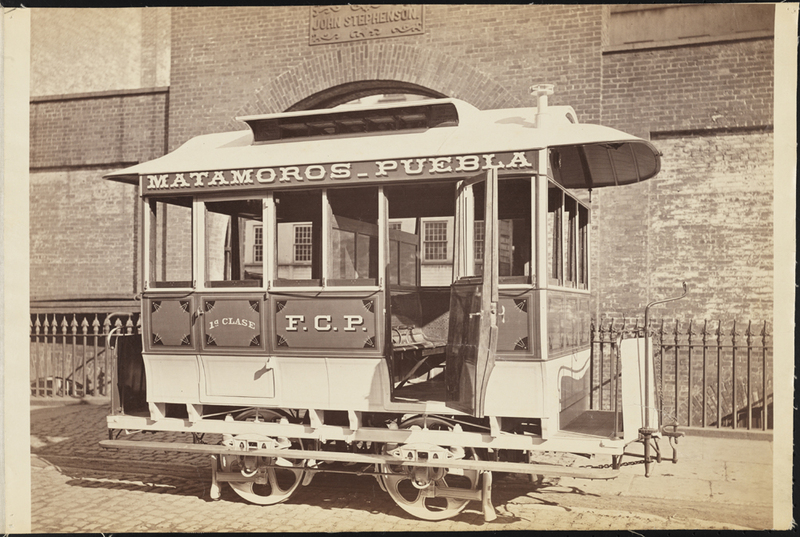 Cable cars flourished from roughly 1880 to about 1890. 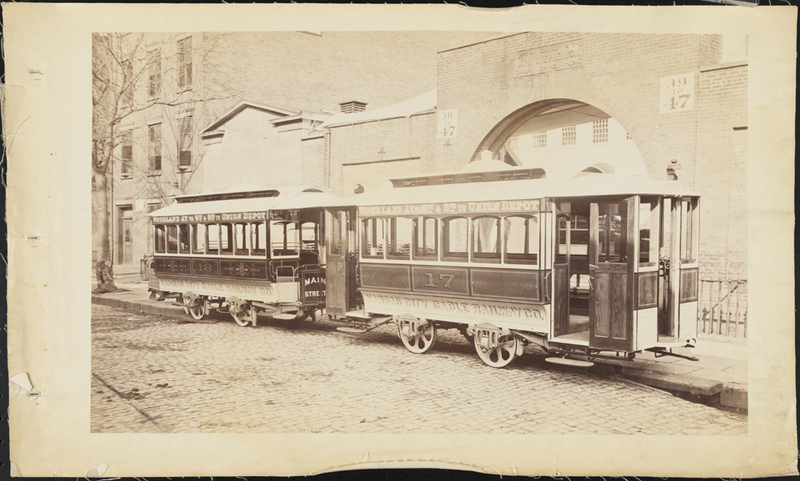 They were an improvement over horsecars, but were rendered obsolete when Frank J. Sprague successfully electrified a street railway system in Virginia in 1888. 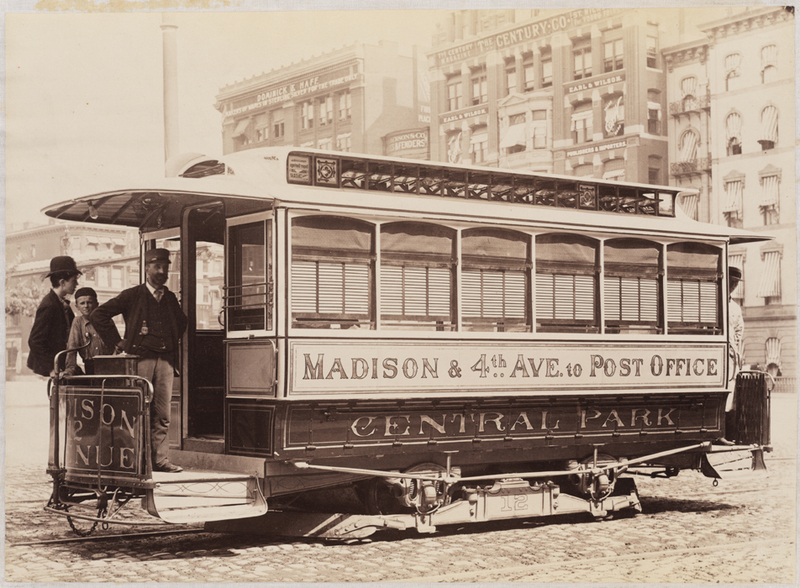 The photograph below shows a streetcar fitted with a Thomson-Houston motor, passing by Union Square. John Stephenson died in 1893. The same year, another financial panic threatened to put the John Stephenson Company out of business. In 1898, the company moved to Elizabeth, New Jersey and shortly thereafter declared bankruptcy. The John Stephenson Company was taken over by another railroad car manufacturer and continued on until 1919, when the plant was sold and the assets were liquidated. Passing through many changes, the line kept its honored place in the municipal railroad world until yesterday morning, when the last of the dirty old cars, with their faithful horses and husky drivers, were withdrawn, never again to reappear. What glory, therefore, that came to this giant and progressive city for maintaining the last horse-drawn car disappeared forever. We are now no more notable in transportation than Chicago or Philadelphia. 1. Randall Bartlett, The Crisis of America’s Cities (Armonk, N.Y. : M.E. Sharpe, 1998), 71. 2. John H. White, Horsecars, Cable Cars, and Omnibuses (New York: Dover Publications, 1974), 15. The public transportation system was and largely still is excellent in Chicago. Although that city, like nearly every other, made the mistake of falling for the siren song of Detroit and pulling up the streetcar rails after WWII. Public transport was an essential ingredient in the growth of most major cities. 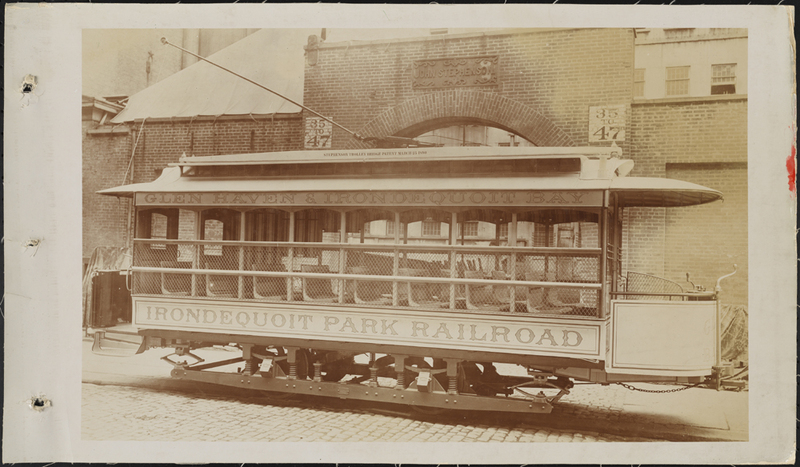 This entry was posted on December 10, 2013 by Lauren Robinson in Digital Project, Photo Archive, Photography Collection, Print Collection and tagged Horsecars, John Stephenson Company, Mass transit, Omnibuses, Public transportation, Streetcars, Trolleys.